Just about everyone we know is reaching for comfort food right now. With temperatures dropping below zero here in Rochester, NY recently, there’s no better way to beat the cold than with a nice hot meal. That’s why this week we’re cooking up a tasty Italian sausage sandwich on a fresh and pillowy hoagie roll. 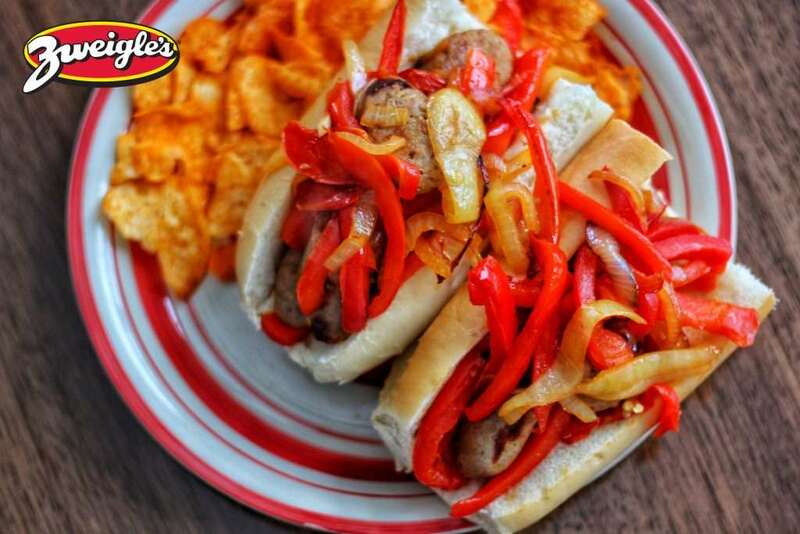 There’s nothing crazy about this classic recipe…other than the fact that you’re about to get your tastebuds blown away yet again with another Zweigle’s signature sausage! Less time spent in kitchen, and even more flavor. What’s not to love? 1. Add one tablespoon of olive oil to a medium sized skillet, and warm over stove on low heat. 2. Place pepper and onion slices onto the skillet, stirring occasionally until softened. Add in additional tablespoon of olive oil if needed. 3. Place small skillet over medium heat and warm Zweigle’s Italian Sausage, flipping often. 4. Cut Italian sausage into quarters, and add to skillet with peppers and onions. Stir frequently for 1-2 minutes, add entire mixture to hoagie, and enjoy.